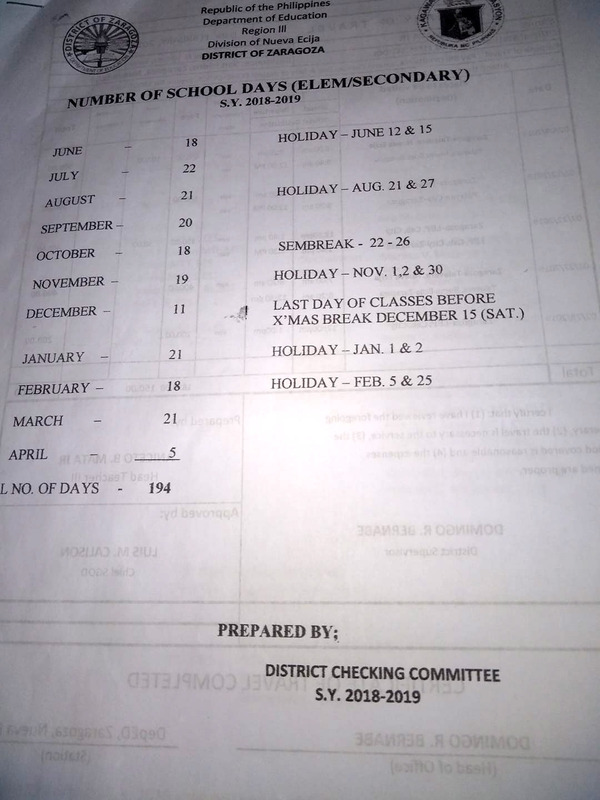 Learners are expected to be in school for a total of 200 class days for this SY. 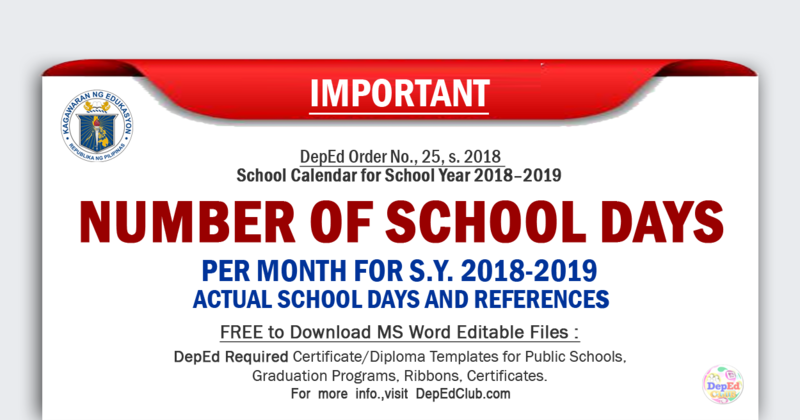 To ensure quality in the school operation and actual teaching learning, the 187-day contact time for teachers and learners is non-negotiable. 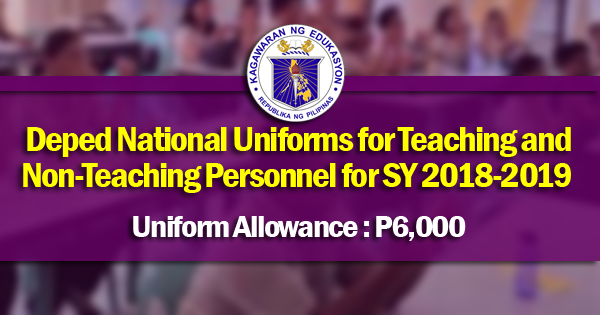 The physical presence of school heads in schools shall also be enforced. Private schools may deviate from this School Calendar. 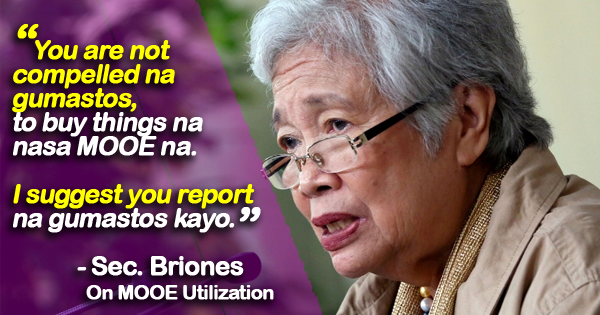 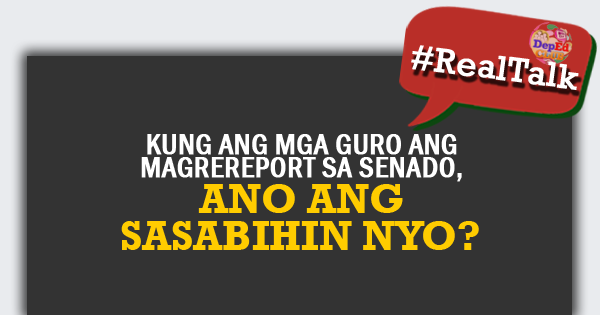 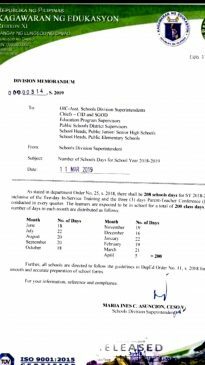 However, they may not start classes earlier than the first Monday of June and not later than the last day of August, as provided in Republic Act (RA) No. 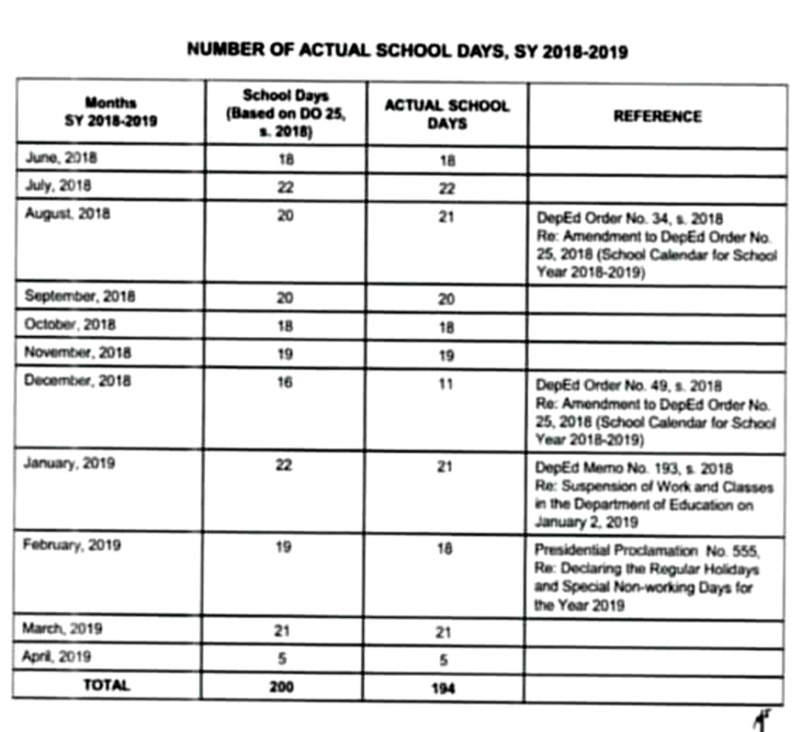 7797, entitled An Act to Lengthen the School Calendar from Two Hundred (200) Days to Not More than Two Hundred Twenty (220) Class Days. 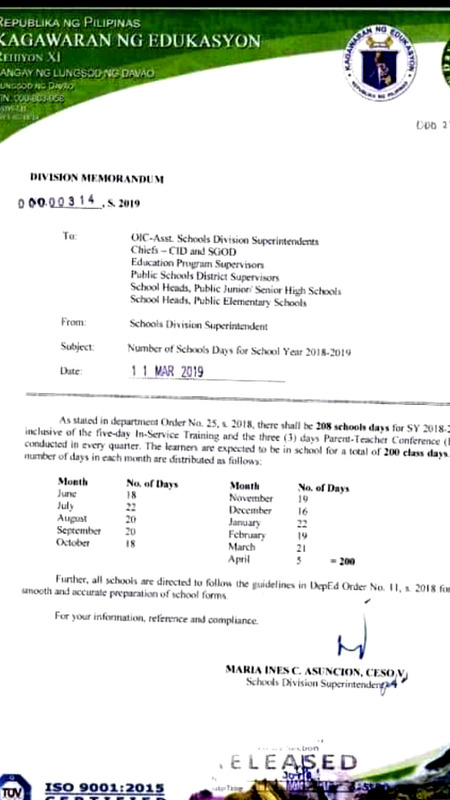 Said schools should notify in advance their respective regional offices (ROs) regarding any deviation from the school calendar.